Nominating owner, Gary Gibbard’s home has the remarkable distinction of being the oldest frame house in Clinton as well as supposedly where the first store front was built. It was also post office in town. There is also an eerie feature of Gary’s home, the tombstone in the basement engraved with the name of Seth Plumb, one of the earlier residents of the home and a postmaster of Clinton. There is a monument in the cemetery with Seth Plumb’s name as well, so hopefully that is where he is at rest and not in Gary’s basement! The original owner was Alpheus Kies. 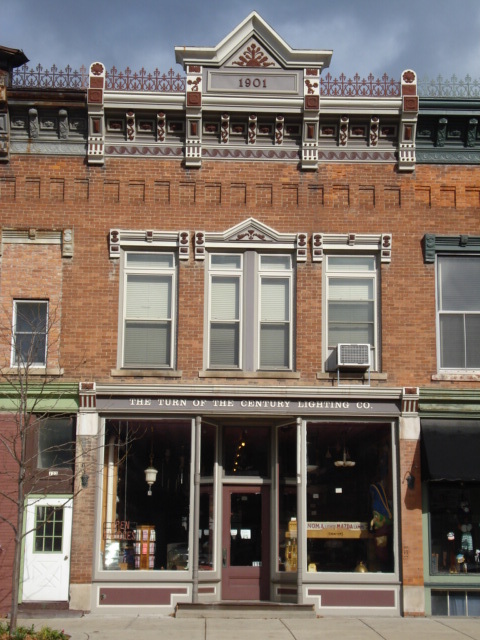 Other owners include Alonzo Clark, Lucinda Stevens, James W. Bradner, John M. Steward, Grace M. House, John Knight and Stanley Gibbard. 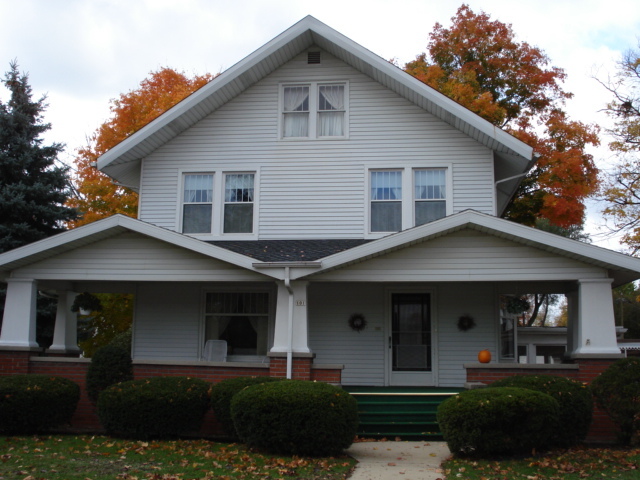 This home is one of the lucky few to be featured in the 1873 Lenawee county atlas and even more remarkable is the fact that it looks nearly identical today as it did over 130 years ago. 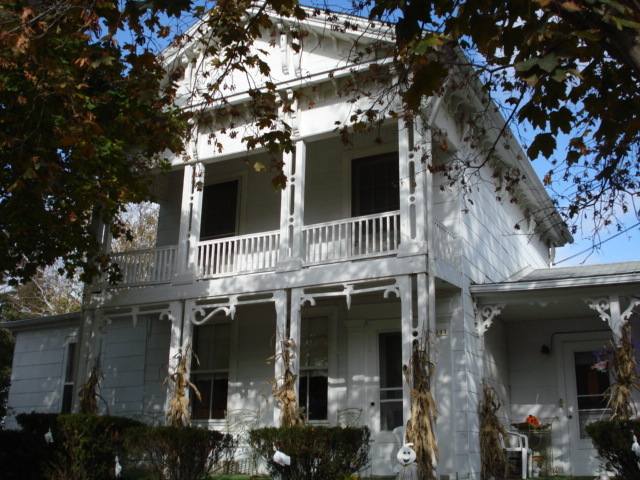 This home was once owned by Fielder Snow, who was a senator. It also just happened to be awarded during an election year. The owner who nominated the home was Jacquelin M. Proctor. 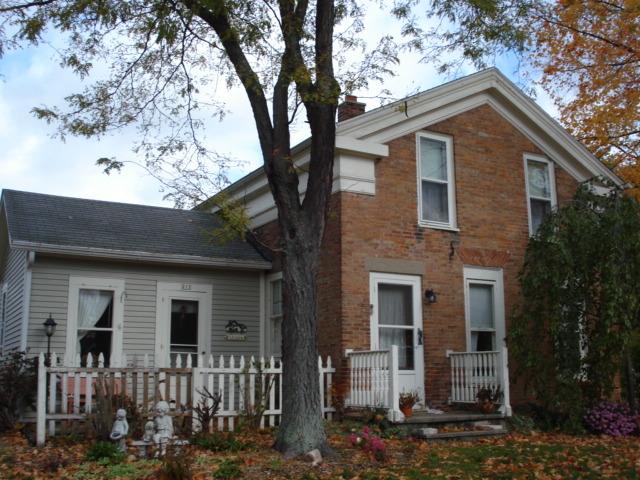 This home was built around 1856 and is a charming example of Greek revival architecture. Sue Peterson was the nominating owner. One of the earlier residents of the home was a shoemaker named Edward Gillen. 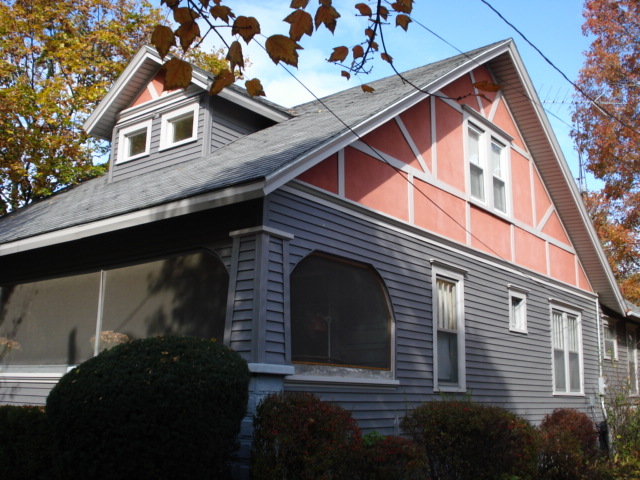 Another longtime resident of the home, the Brady family, lived in the home for over 70 years! Nominating owners Mike and Patty Butzke have a unique situation for the building marker program. Not only is their building their home but it is their business as well, since they own the long-standing antique store, Turn of the Century Lighting. Before that it had also been a shoe store for many years operated by the Tag family and around 1909 the upstairs served as a grange hall where the local farmers would meet. The original owner was Alonzo Clark. Other owners also include Forrest Abner, Jean McGee, Chester Merritt, and Herbert Schott. Their home is a nice example of Arts & Crafts style architecture. Amazingly, nominating owners, Mike and Cristy Hess, are only the second family to live in the home. 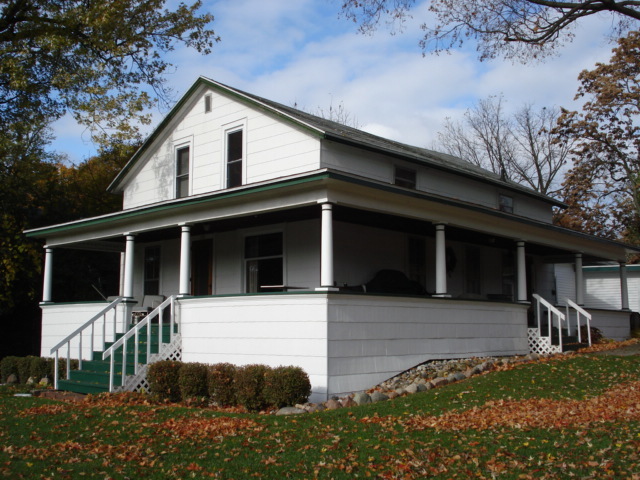 Members of the Feldkamp family live in the home from the time it was built until 2005. In fact, Clarence Feldkamp was a bricklayer and built the fireplace in the home. Our research has shown her beautiful home to have been built in 1921. The nominating owner is Johanna Lancaster. Lancaster is an old Clinton family name. Mrs. Lancaster’s father in law, George Henry Lancaster was the first Ford dealer in Clinton. The home was originally built by another familiar name, Smith-Kimball. Stories throughout the years say that Mary Smith originally saw this home in California and then had a copy built here in Clinton. That would make a lot of sense since the home has some prairie style influences along with craftsman influences.